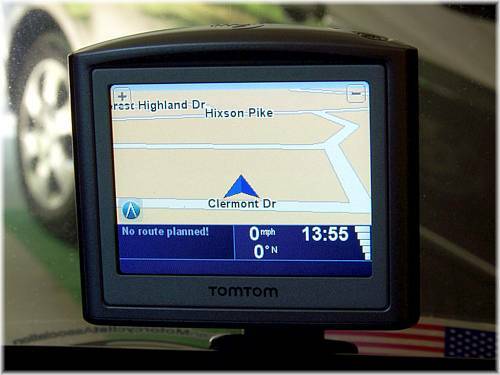 As part of an extended automobile trip (to Denver, CO visiting our most distant family) we bought this Tomtom1-3rd. edition. The GPS device proved very helpful in driving in Denver (we are not at all familiar with that city) and in the Rocky Mountains to Leadville and environs. Here you see the screen as it shows our home -- accurate to within a few feet! 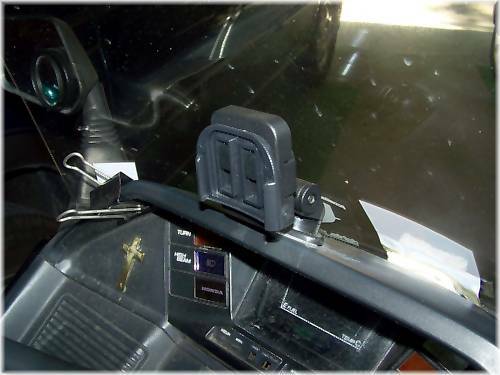 In addition to the basic mount, you have to order an "adapter" for the GPS device. The TomTom-1-3rd. required their APTTO plate. The cost was pretty reasonable, the quality is surprisingly good. The device is nicely engineered. 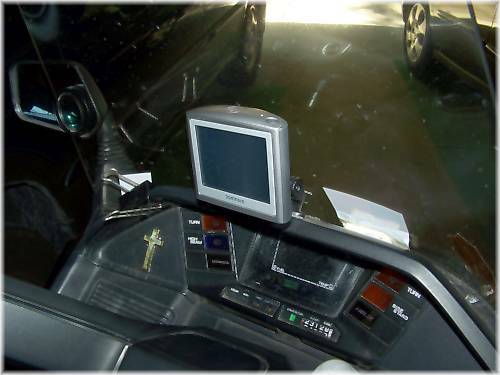 (Below) The view from the driver's position -- the GPS does not interfere with the driver's view of the road. There is a bit more vibration than I'd like - due to the flexibility of that dashboard panel, and the somewhat cantilevered weight of the GPS. This hasn't presented a problem, but if the GPS broke loose, it would drop quickly to the road. 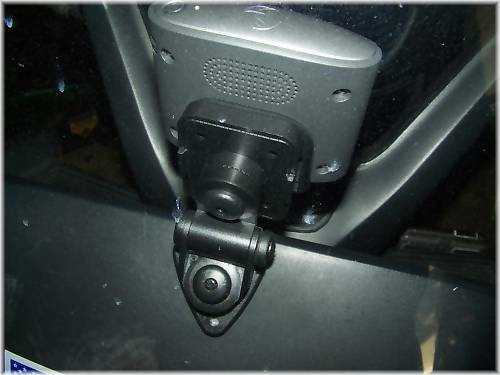 (Below) The mount has 3-axis "gear-tooth" swivels, spring loaded. You can adjust the GPS position by holding the base firmly and moving it in any direction a 'click' at a time. It does not move out of position when riding. (Below) Tilting the GPS back makes it easier to read but it also may cause it to "wash out" in direct sunlight. The TomTom's "night colors" scheme is a little better, but I like the daytime colors. I'm thinking about a "safety lanyard" that could catch the GPS if the mount let go for any reason. Suggestions are welcomed! 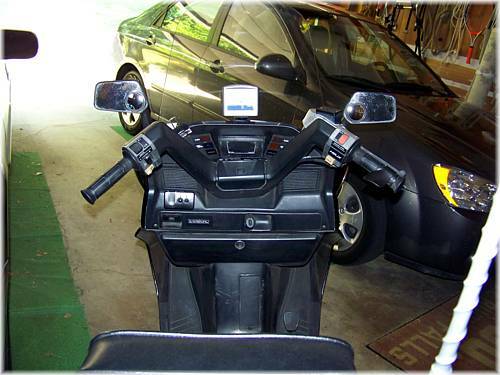 A 12 volt power outlet must be added to keep the GPS battery charged for more than a couple of hours. Adding a 12 volt power outlet.